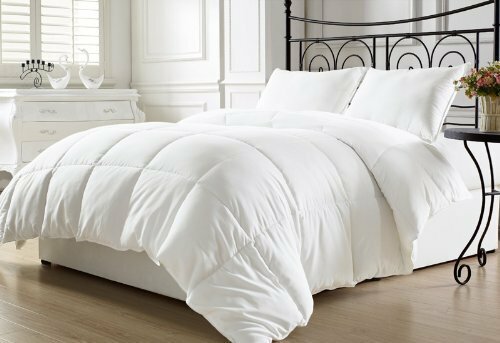 Amazing low priced White Goose Down Alternative Comforter from the Chezmoi Collection. 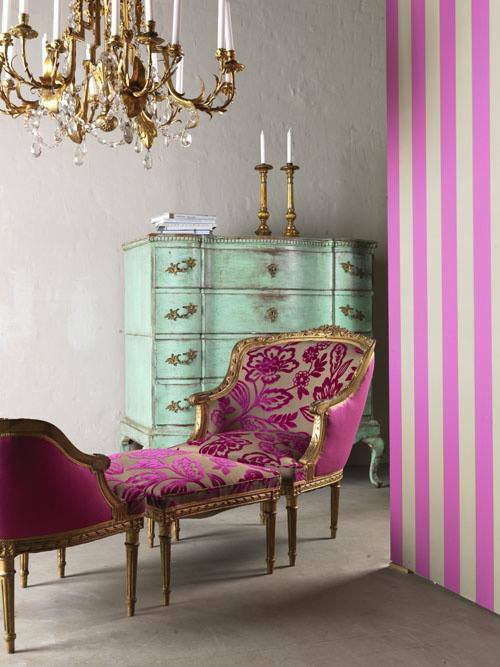 Visually stunning glam sitting room with a touch of boho in pink and light green with gold trimmings. 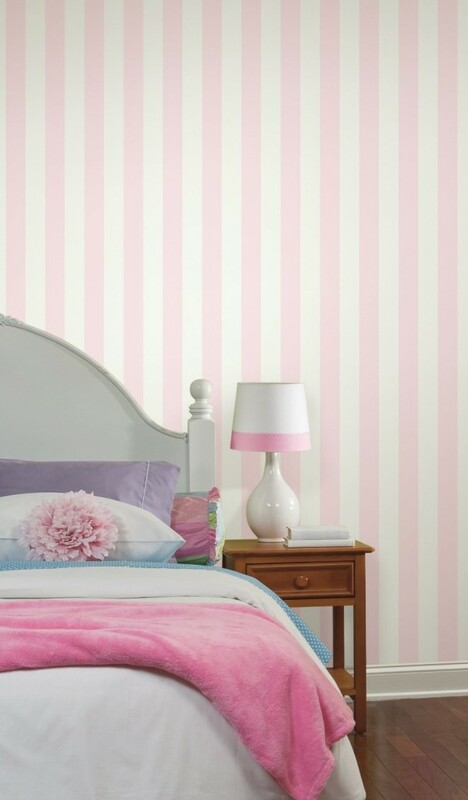 Add some glamour to your interior with pink and white striped wallpaper used in the case below as a headboard for the bedroom. 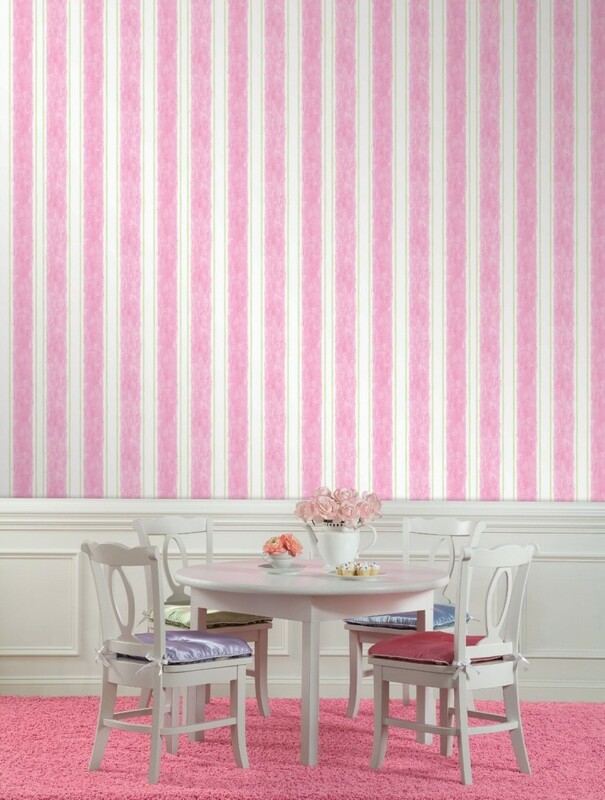 Buy the wallpaper here: Pink stripe wallpaper. 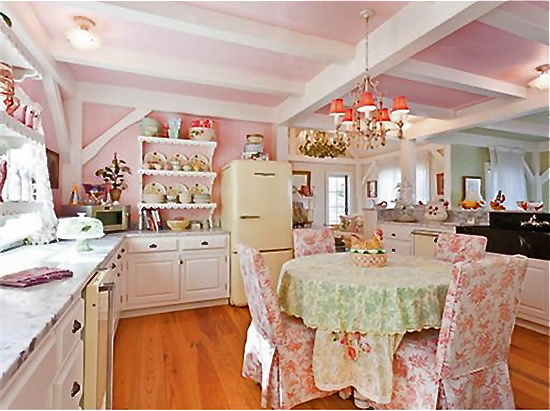 The gorgeous country home of Kirstie Alley that was up for sale in Isleboro, ME. 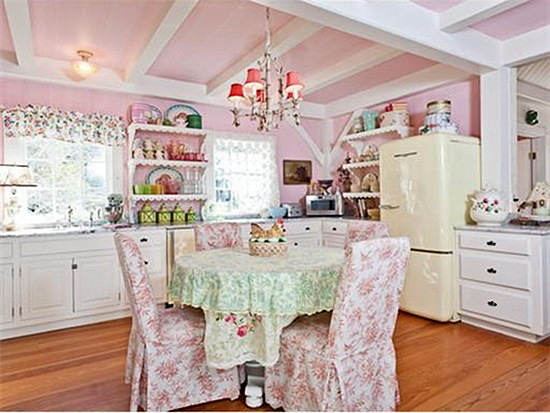 What really caught my eye is the delicate shabby chic pink and white kitchen with little green accents. 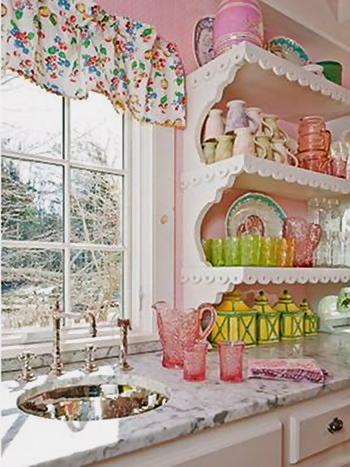 The black marble sink stands out in a glaring way and doesn’t seem to fit in with the rest of the look, I wonder how that came about? 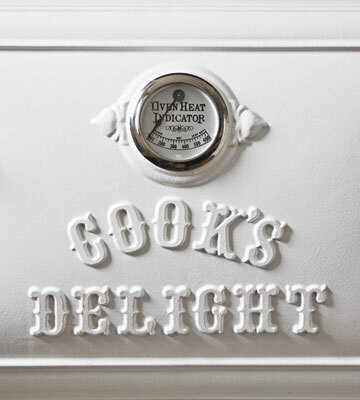 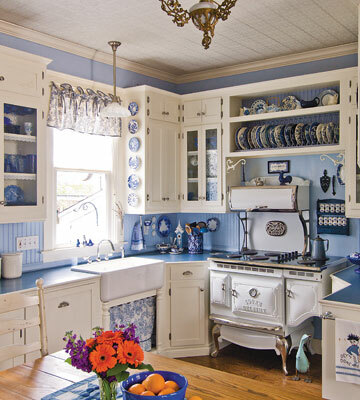 Authentic Victorian style country kitchen in blue and white. 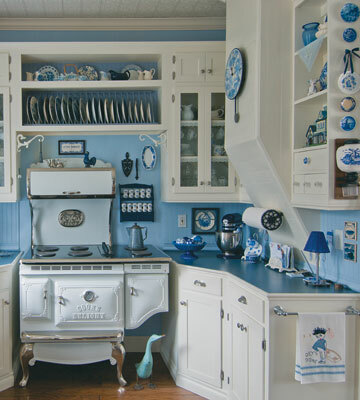 I really wanted a blue-and-white farmhouse kitchen. 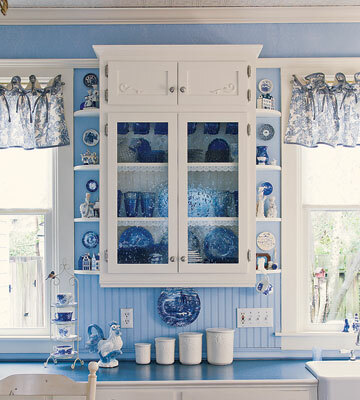 It’s such a refreshing combination—and one that highlights my blue-and-white porcelain dishes and cups. 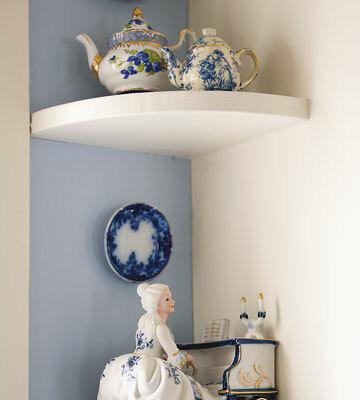 I’ve been collecting for years, often finding pieces in secondhand stores, ever since an aunt gave me a teacup on my 21st birthday. 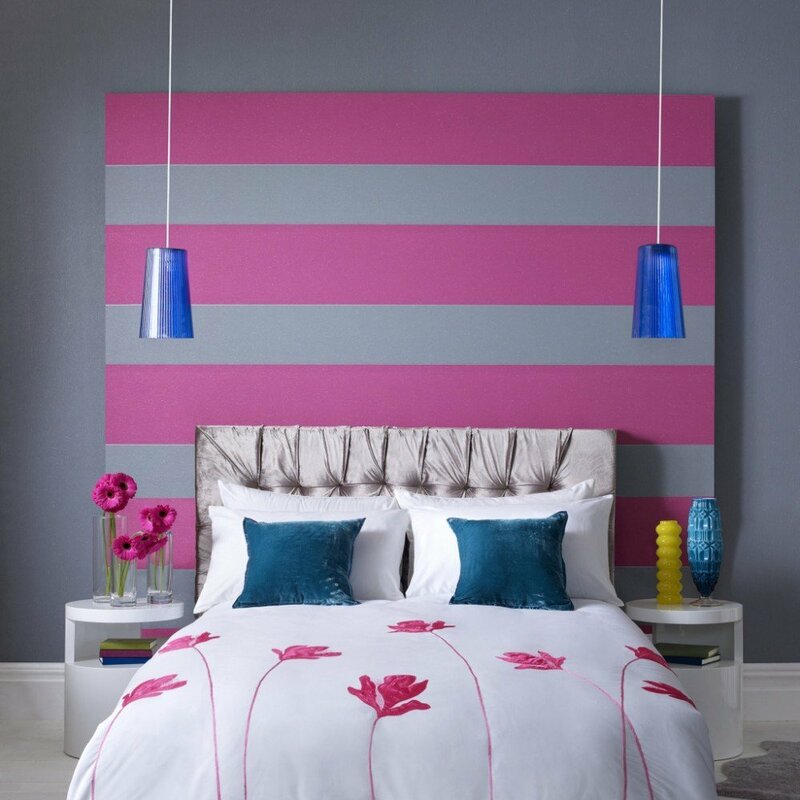 But I knew getting the right shade of blue for the walls could be tricky. 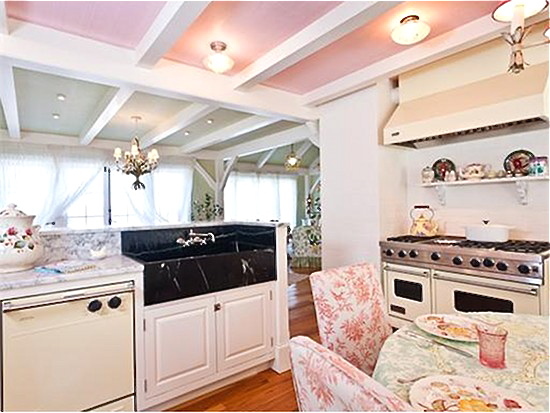 So I took a teacup with me to the paint store! 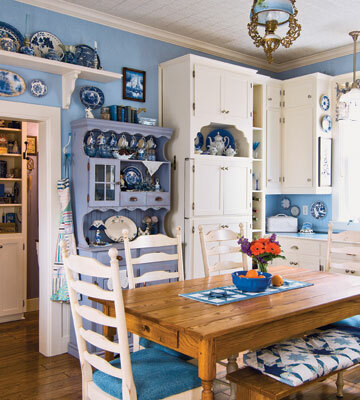 Now the walls beautifully set off plates, antiques and other treasures. 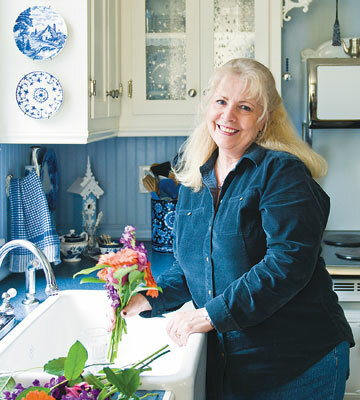 Among them is a flow-blue plate mosaic—I’d found the shards while digging in the yard and glued it together, complete except for one piece. 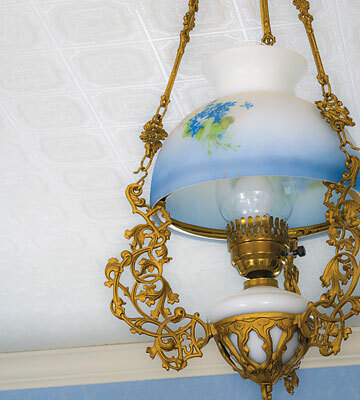 It hangs near the working antique telephone Steve built, using original parts he’d found online. 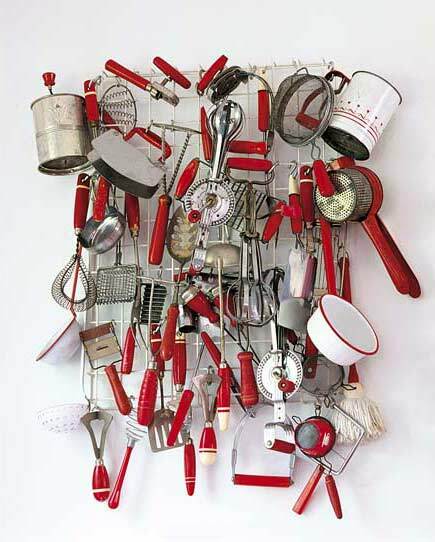 There’s also a button-tree picture I made using buttons selected from my mother’s button jar. 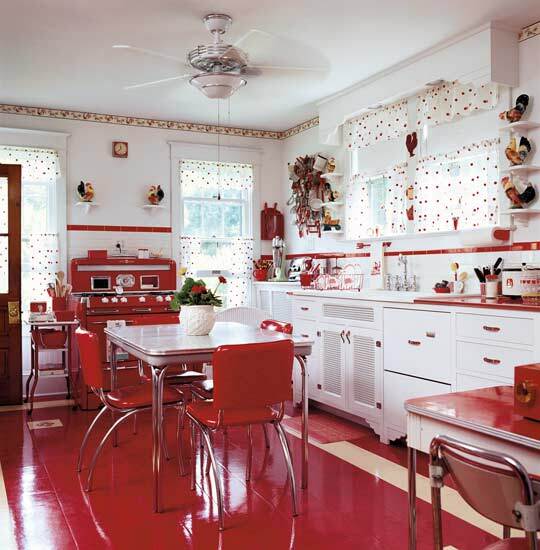 Kitsch red and white retro kitchen, loving all the vinyl from the floor to the chairs to the tables. 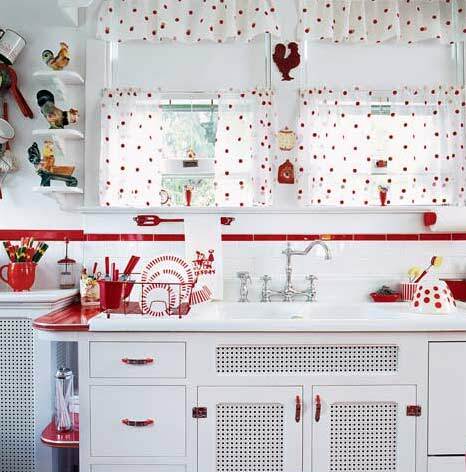 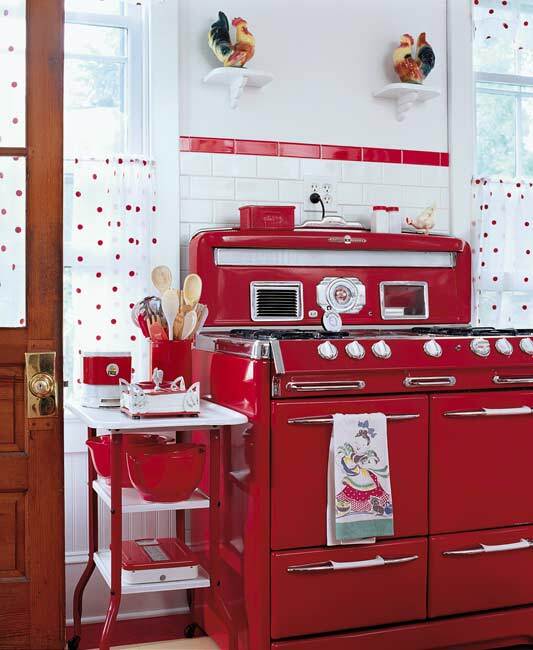 Red enamel kitchen in 40’s retro style and pretty white and red polka dot curtains!